You have heard of people speak of love at first sight, but is there really such a thing? There is so much to consider when speaking about love and it is such a scary thing, do you take a chance or do you miss out on your chance at true happiness? Carson King is a chaplain in the Air Force and also best friends with Lieutenant Joshua Nelson. Carson is smitten by Joshua’s sister Seprah and can’t wait until the next visit home with Joshua just so that he can see her. Carson visits the Nelson family twice a year but his visits are always bitter-sweet considering that his best friend Joshua isn’t there with him. He tries to keep it business as usual but Carson can no longer fight this desire that he has in him to be with the woman that he loves. Will God help him with his dilemma or will he just be without the true love of his life? Seprah Nelson is the middle girl of five sisters in the Nelson family. She stands out from the others with her mild-manner demeanor and her striking beauty. Seprah is no stranger to the dating scene, but it is only something to do until she gets that one true love that she has been wishing for. Being a preacher’s kid should mean that your faith should be stronger than most considering your father’s vocation but Seprah is a non-believer and that could cause her issues later in life. Is she ready to deal with those issues or will she let true love pass her by? Romancing the Stony Heart is a heart warming romance story because it takes you through a range of emotions. 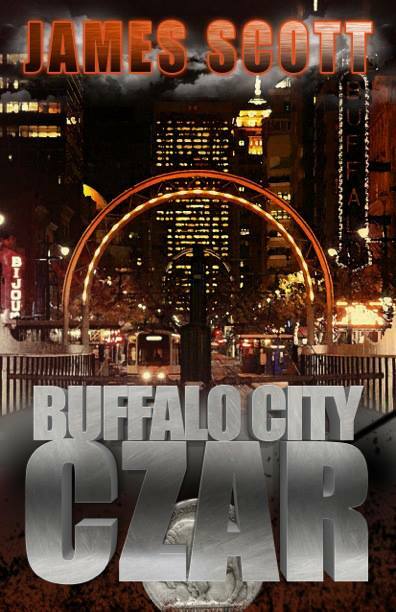 The characters are believable and they compliment each other. This is not a sad love story, it is one of hope and that makes it easy to read. Carla Terrell brings the story to life and continues to give it life through the way she tells the story, makes you just want to reach out and hug everyone. I loved the way this book flows and the story line is strong. Romancing the Stony Heart is book number one in a trilogy and I am looking forward to the next book. Romancing the Stony Heart can be purchased on Amazon.com (paperback and Kindle), BN.com (paperback only) and on the author’s website: www.cyterrell.com. 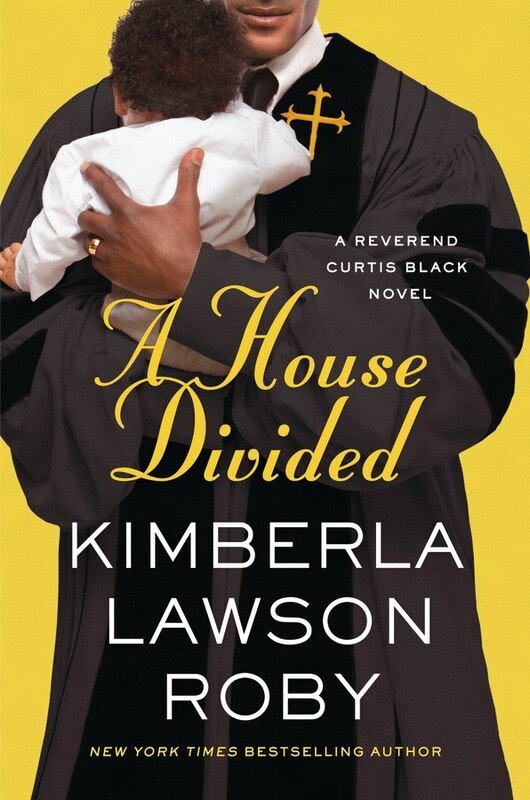 A House Divided is the 10th installment in the Rev. Curtis Black series by Kimberla Lawson Roby and if you have been keeping up with this series you know that there is excitement and twists around every corner. Life seems to be repairing itself for the Black family since we were last here. Curtis and Charlotte are doing well in their marriage after surviving yet another fiasco. They are embarking on a new adventure in their lives – preparing for the birth of their first grandchild, and they couldn’t be more excited. Matthew, Curtis and Charlotte’s son and his girlfriend Raquel are about to give birth to their baby boy and couldn’t be more happy and scared at the same time. Matthew is continuing his education and away at Harvard while Raquel is home in Mitchell, IL, so the stress of being so far apart during this time is stressful enough without adding the stress that has already begun between Charlotte and Raquel’s mother Vanessa. In typical Charlotte form she wants things her way, but she has run up on a mother that will not allow her to walk all over her or her daughter and we definitely see the explosion that is building within that situation. Curtis and his ministry at Deliverance Outreach are growing and doing great but when Curtis receives a anonymous letter from his past this worries Curtis. Curtis is well aware of his past and what additional problems it may cause him and his family but if he could just figure out what this mystery person wants, maybe his skeletons won’t fall out of the closet, this time. With the luck that the Black family has had with visitors from the past, Curtis just knows this could cause major problems for him. A House Divided is a very eventful read. There are twists in there that make you speak out loud because you can’t believe that this just happened, but you definitely don’t want to stop reading until you get to the end ~ just remember to breathe because I found myself holding my breath when I got to certain parts! Roby doesn’t disappoint with this installment, she keeps us on the edge of our seats with her strong story line and feisty characters that mesh so well together it is more like watching tv than reading a book. I enjoy Roby’s work she is the continued professional and friend that is writing for US! Keep up the great work, I look forward to more of your drama! A House Divided is available on Amazon.com (hardcover and Kindle), BN.com (hardcover and Nook) and everywhere books are sold. Love and loyalty should go hand in hand when in a committed relationship, but how do you deal when the person that you are loyal to and are in love with no longer feels the same way about you? Do you do your best to cope with the situation or turn your back on love forever? Ken Ferguson has had an interesting life. Ken has grown up with self-esteem issues because he is very dark-skinned and was teased as a child, he doesn’t know what healthy love looks like because his parents are the poster children for being in a dysfunctional relationship. The only thing that Ken has going for himself is the fact that he is a very nice and sweet guy, this makes his friends love him all the more and as he gets older it draws the women to him. When Ken gets his heart-broken by the one woman who he thought was going to be his wife this changes Ken, changes him into something that he can deal with and something that no one wants to see. How will Ken survive in life with this mentality or will he survive at all? Monster is a very well written love story. This story makes you smile and at times it makes you frown but the fact that it ignites your emotions is going to keep you reading. The story line is strong, the characters keep you talking and questioning them to get the answers that you want or maybe need but it keeps you there in the story. This is my first read by Ben Burgess Jr. and I look forward to reading more from him in the future. 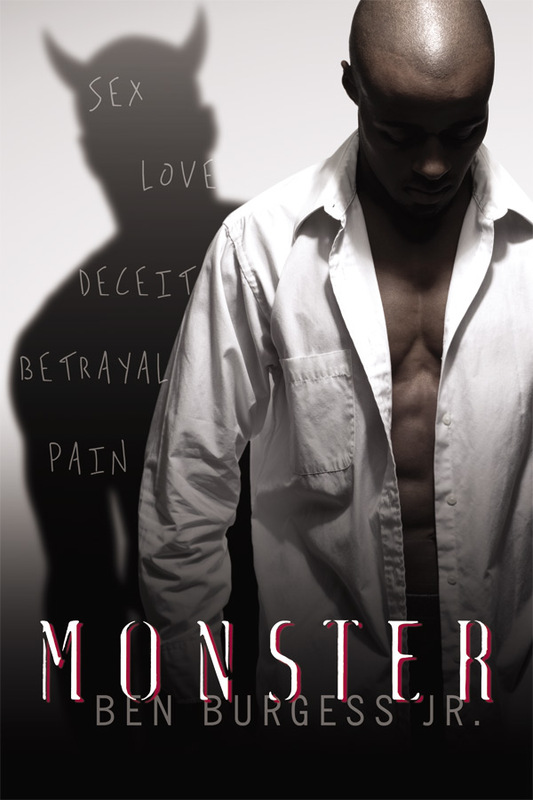 Monster is available for purchase through Amazon.com (paperback and Kindle) and BN.com (paperback and Nook).